For two decades, Twilight Imperium has thrilled gamers with its grand storytelling and tactical strategy. 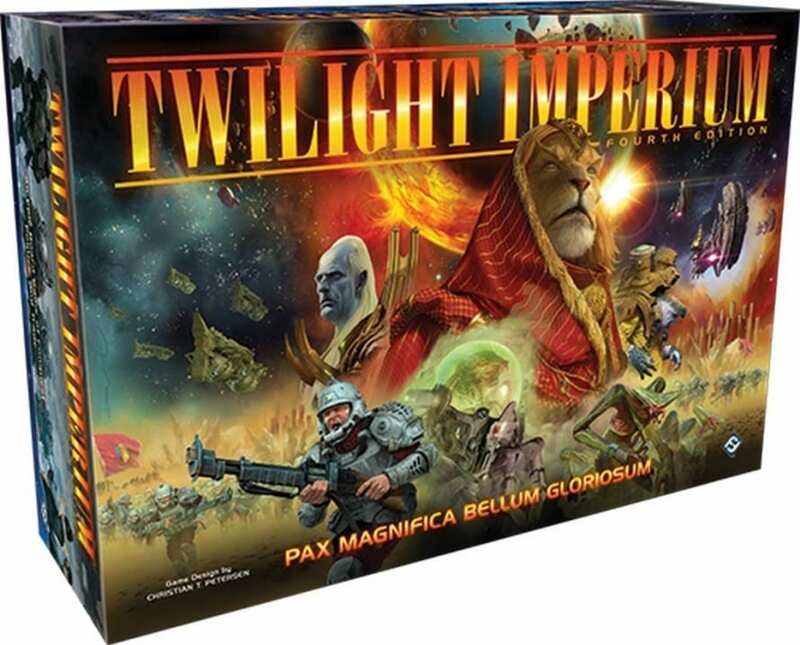 Now players can explore the next step in the Twilight Imperium legacy with Twilight Imperium Fourth Edition, an epic game of galactic conquest for three to six players. Each player takes command of one of seventeen unique civilizations to compete for interstellar supremacy through warfare, trade, uncertain allegiances, and political dominance. Every faction offers a completely different play experience, from the wormhole-hopping Ghosts of Creuss to the Emirates of Hacan, the masters of trade. All of these races have many paths to victory, but only one will sit upon the throne of Mecatol Rex as the new masters of the galaxy.